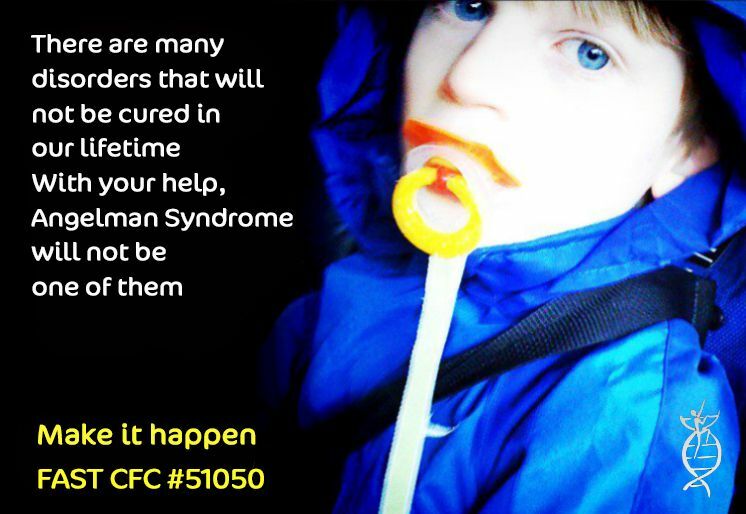 The Federal Government’s Combined Federal Campaign (CFC) season has kicked off and FAST; the Foundation for Angelman Syndrome Therapeutics (CFC #51050) is now on the list of approved charities!! CFC is the world’s largest and most successful annual workplace charity campaign, with almost 200 CFC campaigns throughout the country and overseas raising millions of dollars each year, this is a fantastic opportunity for FAST to benefit from the generosity shown by Americans who contribute to this campaign. Pledges to FAST made by Federal civilian, postal and military donors during the campaign season (September 1-December 15th) help to make amazing things possible – our goal is a cure for Angelman Syndrome! Contribute at http://my.cfcnca.org/ (FAST CFC #51050) to make a one-time or consider a recurring donation (that can be stopped at any time). You can donate through payroll deduction – the most convenient way to give – or you can donate by credit/debit card, eCheck, cash, or check. Most agencies also have paper pledge forms at CFC events or agency specific online links that you can use to donate as well. Promote our campaign. We will be sharing graphics, such as the one shown here. By sharing this on your social networks (Facebook, twitter, Google +, Pinterest) you can let friends, family and acquaintances know that FAST is now part of the Combined Federal Campaign. Don’t forget to tell them what it means to you, and of course thank anyone who takes the time to contribute and/or share our quest. Contact. If you or someone you know is a government employee, contact them to share our campaign; ask them to consider choosing FAST as their designated charity in this year’s CFC campaign – it would mean the world to our family.